This run of good weather just keeps on going and with the British weather being so fine at the moment it’s definitely time to get a camping holiday organised for the family. The hubby and our son have done quite a few camping trips now and have learnt a thing or two during their adventures. 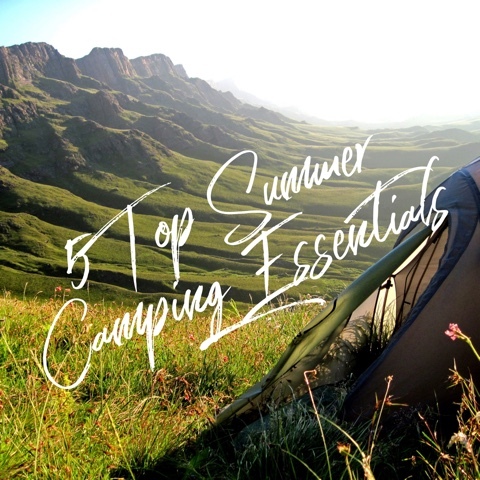 So to help you out on your next camping trip I’ve put together this little list of top 5 summer camping essentials to make your stay as enjoyable as possible. 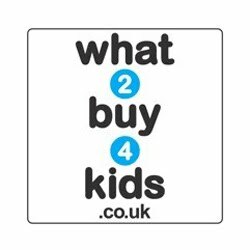 Let’s start with one thing you’ll 100% need especially if you’ve got the kids with you. A nice big tent! It’s definitely worth spending a bit of time investigating which tents will suit your needs most and also it’s worth spending a bit of money here too. If you’re camping with the kids you’ll want a tent that’s reasonably fuss free, easy to set up and has space so you’re not all bumping into each other. I’d suggest looking at some of the inflatable air tents as they’re quick to go up and surprisingly sturdy. Definitely invest in good sleeping bags. Sometimes the summer ones seem cheap and tempting but it can get quite cold at night in a tent so purchasing a good sleeping bag is key. Make sure and get something for ground cover as well, such as a blow up bed or thick foam mat. These will help keep you off the ground and feeling warmer in your sleeping bag at night. If travelling with the kids you can even get a double sleeping bag to share so it’ll keep you both cosy and you’ll be able to keep an eye on them. It might be alright for the kids to sit on a picnic blanket for hours but if you’re like me and get a bit sore and stiff after a while it’s a good idea to have some camping chairs on your trip. There’s loads of different kinds available but I find a good fold-able chair quite comfy and you can pick them up at a reasonable price from lots of different shops or online. The fold-able ones are normally light weight as well so easy to carry even for the kids! Depending on where you camp there might not be a lot of options for eating out nearby and half the fun of camping is surviving in the wild and cooking your own food. With this in mind it’s good to purchase a stove and some camp food to take along with you. There’s a lot of stoves out there that are quite cheap to buy and come with some kind of pot to cook your food in. I like using the Wayfayrer food pouches for camping and they boil up in a pot nicely. Plus they taste like real food and the kids enjoy them. It’s worth noting that during the hot summer weather camp fires aren’t advised so a stove is a lot safer option. We don’t want any accidental wild fires! No matter where you go or what you do someone always ends up hurting themselves and when you’re in the middle of nowhere it’s a good idea to keep a little first aid kit handy. I like to make up my own in a plastic lunch box and include things like plasters, small bandages, micropore tape, pair of scissors, calpol, midge repellent, insect bite & sting cream, sudocrem, painkillers, tick remover etc. It’s good to be prepared, at least I like to be anyway. 5 comments on "5 Top Summer Camping Essentials"
Thanks Claire and good luck on your camping trip! I would love to take Tyler camping some time when he’s a little older! Good shout on the first aid kit! Not forgetting stackmload of baby wipes, they have so many uses! I haven’t been camping for years.